Codices might not have survived to the present day but they could have indeed existed. “There are no books written in Visigothic script preserved for Galicia”. This is the quote that can be found on studying the medieval libraries, production and circularization of codices in Visigothic script for Galicia (the northwestern Iberian Peninsula). But, luckily, such affirmation is wrong. First, how can we be sure that a codex preserved and supposedly produced at some centre of for example Leon or Castile was not actually so in a Galician scriptorium? Unless the codex’s colophon specifically indicates, without doubt, the place of origin, no, we cannot. It is not just because of the mobility of the political and diocesan borders during the Middle Ages. The study of Visigothic script has immensely advanced in the last thirty years, with several studies published regarding manuscript sources, the definition of the script and its regional variants. However, given the state of the art, the information available about some of the Visigothic script codices is still not enough to be sure – if we can ever be sure – as for the geographical location to which they should be linked. 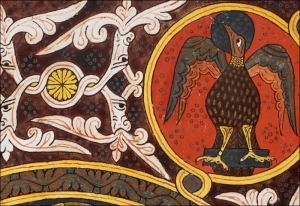 One example of this is the so-called ‘Codex of Leodegundia’ (El Escorial a.I.13), for some researchers produced somewhere in Galicia, from others in a Leonese scriptorium. Second, the fact that no complete codices have been preserved does not mean that there are none. 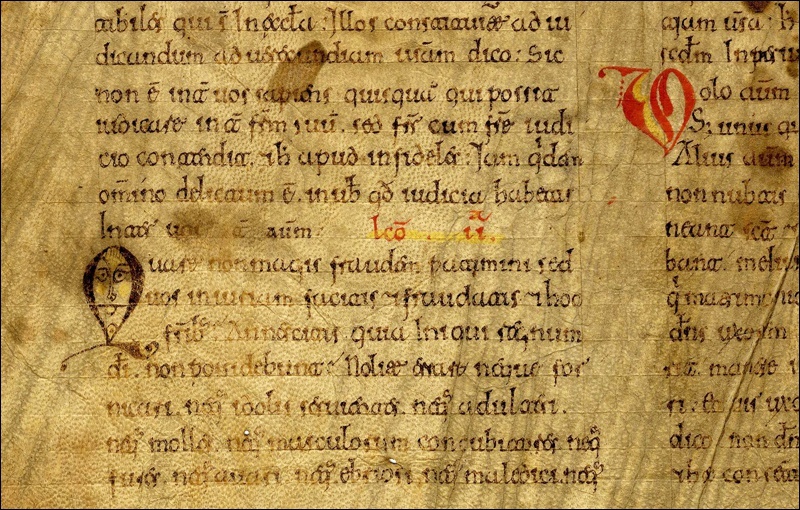 It might be true that we do not have beautiful examples like the Visigothic script Orationale written circa 720 in Tarragona called ‘Oracional of Verona‘ (Verona, Biblioteca Capitolare, LXXXIX) or any Beatos (like London, British Library, Add MS 11695) produced in Galicia – as far as we know – but what about the colligere fragmenta? A piece of a codex is still a codex, and there are a lot of fragments! © Archivo Histórico Provincial de Orense, caja 4, nº 35. The archive that currently keeps more fragments of codices in Visigothic script from Galicia is the Archivo Histórico Provincial de Orense. 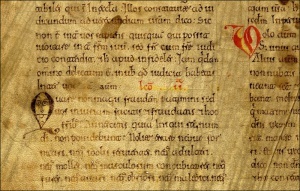 As flyleaves of notarial protocols from the 16th and 17th centuries, several fragments of codices from the 11th and 12th centuries have been preserved. Of course, their condition is not good. Many are small fragments, in other fragments the rubbing has made virtually impossible the reading. But these fragments, leaves of missals, prayer books and lectionaries, provide a precious information about the books produced and used in Galicia back in the Middle Ages. From them we can reconstruct the entire codex applying the codicological methodology, complete the liturgical text with other known copies, and through a paleographical and historical approach, to learn more about the scribes, their training and career. © Archivo Histórico Provincial de Orense, caja 4, nº 43. Therefore, we cannot say “there are no books” just as we cannot say “there were no books”. The fact that they ‘have not been preserved’ in any way means they have not been there. We have a long list with hundreds of references to books mentioned in other Galician sources, coeval charters, copies preserved in later codices, that help us reconstruct the history of the book / the libraries in the Ancient Kingdom. Also, by analysing the quotes used by some scribes, we can see their familiarity with specific books, either directly or indirectly. From studying their style of writing and their grammar, we can see their cultural background which depends not only on training but also on reading. And we have the references to codices made ​​by scholars in the 17th and 18th centuries, when wars, the reorganisation of archives and time had not affected as much as today the lives of the manuscripts. To sum up, are there Galician Visigothic script books? Yes! It is just that to study them and their historical context takes a little more effort.